With the growing hunger for more storage space and better data handling, a handful of companies have been able to meet these needs satisfactorily. Salesforce is one of the world’s biggest and most profitable service providers when it comes to cloud computing. This is because the company has always been focused on delivery of premium quality service at all times. The competitors are no match to Salesforce when it comes to cloud computing. What is it that put them at the top? 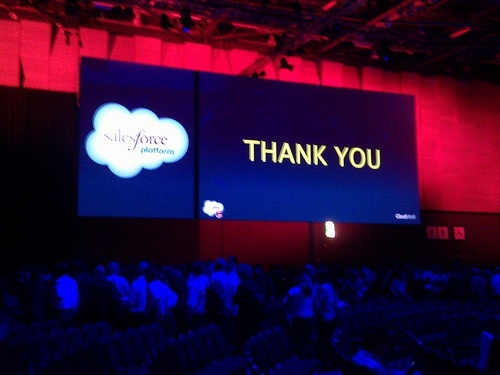 Perhaps it is best to talk about Salesforce right from the beginning. At a particular point in time before 2006, the management of the company realized that they were running out of innovative ideas. The creative well was running dry. Performance was not as good as when the company started out. The management did a serious overhaul by adopting more intensive, agile and customer-driven management practices. Known as Scrum or Agile in the software development circles, less than 30% of all who try it out succeed. The company took thorough training and committed itself to seeing a change in performance. They took methodologies developed by another company and refined them to suit their specific needs. The management communicated all their decisions with the staff to make sure that everyone was on the same page. This is why they are at the top. Salesforce is not one of those companies that are all about planning. They make sure that their execution is even better than the planning. The company has defined a market and executed it. They have continued to define cloud computing in the market and this has kept them at the top of the pack. There is nothing that keeps a company running better than always being up to date with the needs of the market. At some point in time, what businesses wanted was storage facilities for their data. This is not a major problem nowadays. Processing the data is the biggest issue today. Management and integration of data is vital to make sure that acquired data is maintained at its best. Cleaning up the data to ensure that it is of premium quality is also very important. Salesforce provides its clients with tools for data handling. They know what their market wants. No one wants to get stressed. There are so many things that are stressful; a cloud computing platform that makes work more difficult is not going to come highly favored. Salesforce on the other hand is one of the easiest cloud computing platforms to use. As a matter of fact, this is one of the features that have sold it out to many business practitioners. If anyone is in need of premium quality cloud computing services, they can always trust Salesforce.com to deliver nothing but the best at all times. Perhaps another thing that can be added concerning the greatness of Salesforce cloud computing services is the fact that they are quite affordable. You are assured of excellent services at the most competitive rates. Are Private encrypted emails the only solution for confidential communication?